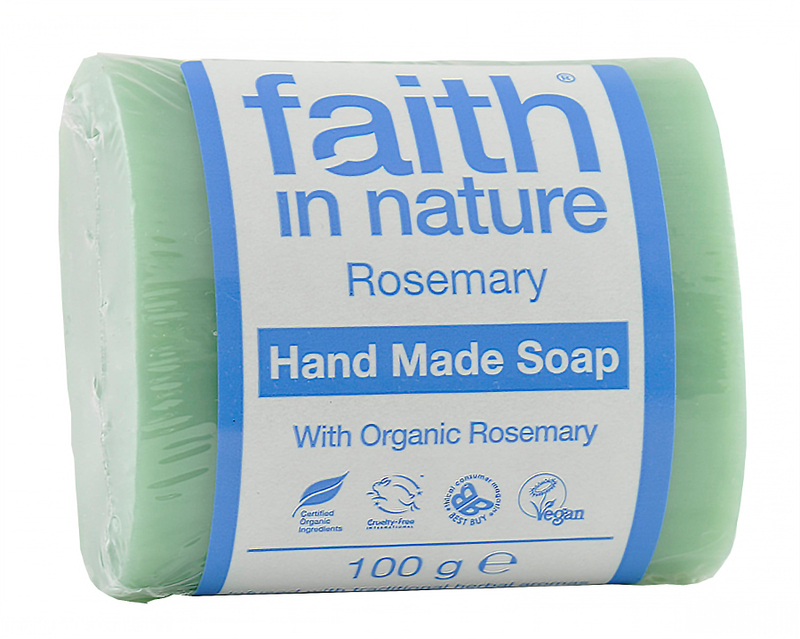 The stimulating blend of astrigent rosemary aromatherapy oil in this vegetable soap enlivens skin. 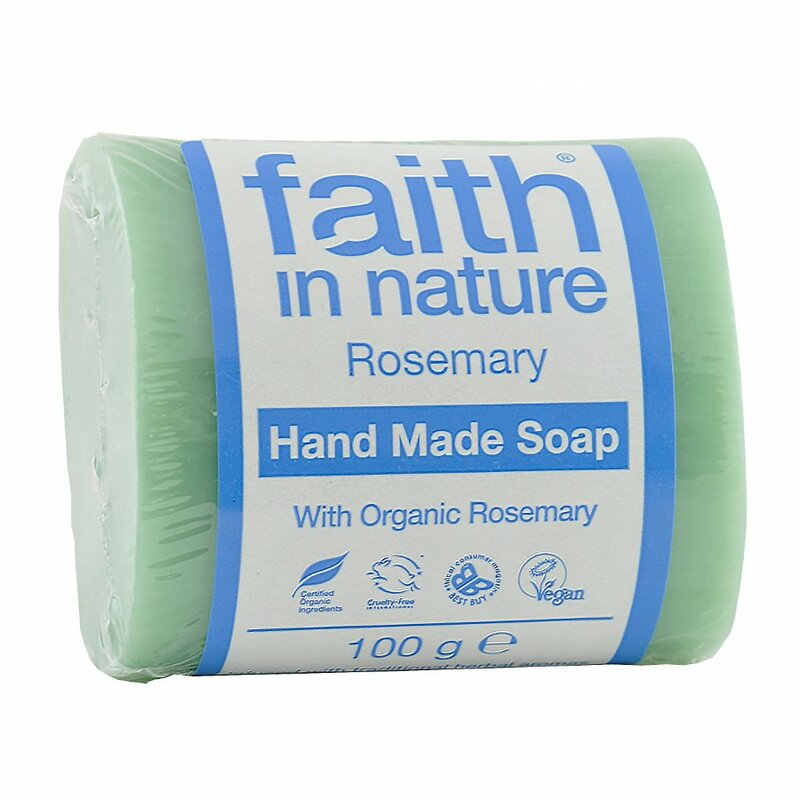 Smooth and aromatic this vegetable soap from Faith in Nature has a low pH to gentle cleanse and tone your skin without drying it out. Rosemary aromatherapy oil is known as a tonic with stimulating and balancing properties for skin with a natural pungent aroma typical of Mediterranean plants.